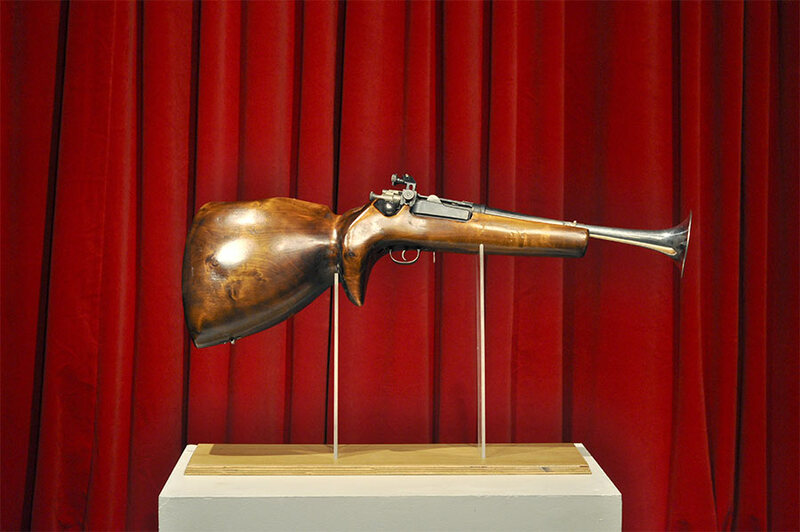 Sculpture: 90 x 25 x 18 cm, glossy coated wood (birch), weapon mechanics (Kraag), trumpet. Gun rack: acrylic glass, plywood. Installation with velvet stage curtain 7 x 4.5 m.